See Schedule below for dates and pricing. All decon course prices include Regulatory Compliance Plan Templates - a $200 value. Decon course lunches are provided by Meth Lab Cleanup Company. To register call: 800-959-6384 or download the registration form. All applicants must be prepaid 3 weeks in advance - CLASSES FILL QUICKLY - REGISTER EARLY! All credit cards accepted. For state specific courses, please call 208-683-1974, ask for Joe. This course is comprehensive to include information on sampling supplies and equipment, laboratory analysis and laboratory results. This on-line course if the FIRST to describe and define meth lab decontamination based on well over a decade of field experience. Our instructor, Joe Mazzuca, has over 15 years of experience in this industry and is an accredited expert witness and is considered a leader in clandestine drug lab assessment and decontamination issues and services, technology, regulation and consultation. We are proud to make this knowledge available to you. We strongly encourage you to understand the legal requirements in the state you will be working in (if the state is regulated) prior to offering services. Keep in mind, although some states may not be regulated, many counties and cities have standards, disclosures and/or ordinances. Visit clandestine drug lab regulations and disclosure for more information. This course was videotaped live, in a classroom to retain authenticity. The course has been edited to remove unnecessary portions. Great care has been given to maintain fluidity, but please forgive the abrupt starts and stops. It is important that you download the presentation slides prior to beginning the presentation. Carefully view the slides and focus on the video aspect of the presentation in each module. Upon completion of the course and passing of the quizzes and final exam (80%), the student can download and print a Certificate of Completion which is auto-generated in their own name. The course is set to run approximately 16 hours. Participants can move through the elements at their own pace; starting and stopping as needed. Participants have three weeks to complete the course from the time of course registration. Students that fail the exam may repeat the exam for a minimal fee. Introductory Price $549; Reg. $749. Sign Up Here! 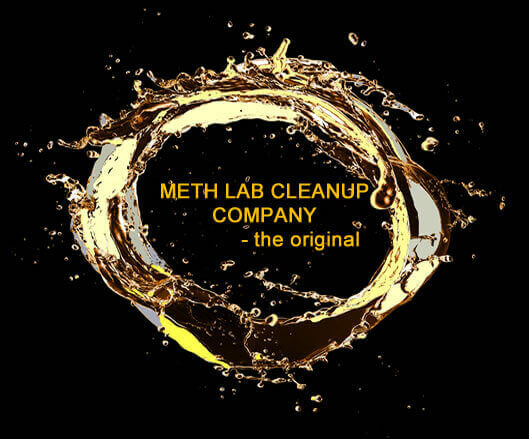 This Meth Lab Cleanup course is designed for clandestine drug lab technicians, industrial hygienists, home inspectors, property owners, home buyers, regulators, landlords and property managers. Learn how to screen properties for meth contamination; know how to sample for methamphetamine, step by step; and understand decontamination and documentation requirements. This course is comprehensive to include information on sampling supplies, laboratory analysis and laboratory results. This course does not cover how to decontaminate. Upon completion of the course and passing of the quizzes (70%), the student can download and print their own Certificate of Completion which is auto-generated in their own name. The course is set to run approximately 3 1/2 hours. Participants can move through the elements at their own pace; starting and stopping as needed. Participants have two weeks to complete the course from the time of course registration. ON SALE NOW! $139 - .5 IICRC Credits. Sign Up Here! See schedule and pricing above. For more information, call 208-683-1974, ask for Joe.